National beekeeping organizations along with the National Honey Bee Advisory Board have come together in an attempt to protect the bee industry by an appeal against EPA for its approval of the pesticide Sulfoxaflor, shown to be “highly toxic” to honey bees, and other insect pollinators. Sulfoxaflor is a new chemistry, and the first of a newly assigned sub-class of pesticides in the “neonicotinoid” class of pesticides, which some scientists across the globe have linked as a potential factor to widespread and massive bee colony collapse. The case is filed as the beekeeping industry across the country struggles for survival, and faces the costly effects of pesticides upon their businesses. The National Pollinator Defense Fund, American Honey Producers Association, National Honey Bee Advisory Board, the American Beekeeping Federation, and beekeepers Bret Adee, Jeff Anderson and Thomas R. Smith have filed an appeal against the Environmental Protection Agency (EPA) in the U.S. Ninth Circuit Court of Appeals, requesting changes needed in the Sulfoxaflor label, the Biological Economic Assessment Division (BEAD) assessment of the value of pollinators and their established habits, and the EPA’s Risk Assessment Process. These changes would acknowledge pollinator’s critical role in the U.S. food supply, and ensure that decisions regarding new pesticides comply with applicable laws. Sulfoxaflor was granted a full registration by EPA for most crops, many of which require pollinators. Many other registered crops are utilized by pollinators, including honey bees, as forage. 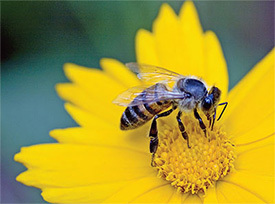 Based on the approved registration, pollinators, especially honey bees, may potentially be exposed numerous times by labelled Sulfoxaflor applications as honey bees are moved across the country to pollinate crops, produce the nation’s supply of honey, and recuperate from the rigors of pollination. The groups are being represented by the public interest law organization Earthjustice. The appeal process through the courts is the only mechanism open to challenge EPA’s decision; it is commonly used by commodity groups to rectify inadequate pesticide labeling. Mode of Action: Sulfoxaflor is an insecticide that acts through a unique interaction with the nicotinic acetylcholine receptor in insects. While Sulfoxaflor acts on the same receptor as the neonicotinoids, it is classified as its own subgroup (4C). It is an agonist of the nicotinic acetylcholine receptor (nAChR) and exhibits excitatory responses including tremors, followed by paralysis and mortality in target insects. The structure of Sulfoxaflor makes it stable in the presence of monooxygenase enzyme that was shown to degrade a variety of neonicotinoids in IRAC Group 4A, resulting in a lack of cross-resistance demonstrated in laboratory experiments. Proposed products: Sulfoxaflor is being registered as EPA Reg. 62719-631 (Sulfoxaflor Technical), 62719-625 (Transform WG), and EPA Reg. 62719-623 (Closer SC). Methods of application include aerial and ground broadcast, in addition to chemigation for potato. High acute toxicity to bees. Sufficient water solubility to permit systemic uptake by the plant, and be expressed in pollen and nectar, as indicated by some of the studies the EPA evaluated. Sufficient persistence in the environment that would permit pollinator exposures from ingestion of nectar and pollen from treated plants. The EPA is required by FIFRA to determine that a pesticide does not pose an unreasonable risk to the environment or to economic interests such as that of the bee industry. The EPA’s testing did not adequately examine the impact of acute and sub-lethal poisoning of adult honey bees, brood, bee life span, in light the dynamics of the colony organism. The EPA’s reviewed research and analysis of bee foraging behavior and habits is being questioned based on long accepted publications; the Agency lacked the necessary data on how Sulfoxaflor remains systemically absorbed in the crop tissue, and how that may harm bees and bee colonies long term subjected to levels below the lethal toxicity level to adult bees; and the EPA failed entirely to look at how differing amounts of pesticides affect pollinators over time. Since 2006 an estimated 10 million bee hives at an approximate current value of $200 each have been lost and the total replacement cost of $2 billion dollars has been borne by the beekeepers alone (J. Frazier, unpublished). “Annually for example in the United States between $20 billion and $30 billion, that’s B, billion with B dollars of our agricultural production is dependent on pollination.” Dr. Sonny Ramaswamy, Director of USDA’s National Institute of Food and Agriculture.